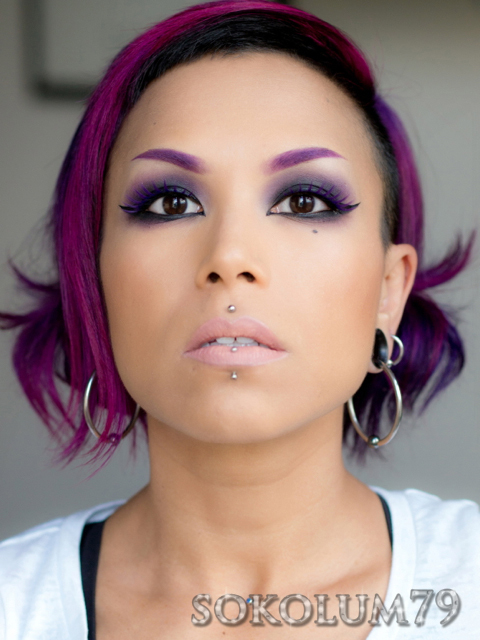 I decided to use mostly Sugarpill Cosmetics to create a dark smoky eye and purple eyebrows today. I feel that dark smoky eyes suit me the most and reflect my personal style the best. I also added Sugarpill's purple Angel Baby false lashes. I have been waiting and hopeing that you would do a in depth blog or tutorial on your eyebrows. You give me the most inspiration! Can you please let us know how to shape our eyebrows like this...I love them!